Priyanka Chopra: Why are artistes always held responsible for political agendas? 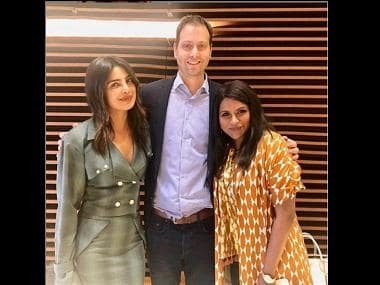 New York: In the wake of the spillover of recent tensions between India and Pakistan on Bollywood, actress Priyanka Chopra says as a "patriot", she would go along with whatever the government decides on the issue. But why only actors are singled out in these discussions, she has asked. Talking about the ongoing tensions between India and Pakistan, Priyanka, whose late father Ashok Chopra was an army officer, told NDTV, "I have read about it. It's tricky because first of all artistes and actors are always held responsible for every bigger political agenda that happens in the country." "Why not business(men), politicians, doctors and why not anyone else except for public people, who are not actors in the movie industry?" Priyanka, currently seen in the lead role in the popular American TV series Quantico, said: "I am extremely patriotic. So, whatever my government decides is important to keep the country safe. I go with that, but at the same time, I don't believe that artistes are a representation of — at least there hasn't been an actor who has done something which has harmed someone's life out of malice or anything." She thinks that "if someone needs to be hung, the one person that's picked up is an artiste or a public person from the movie business. That to me, is not fair". 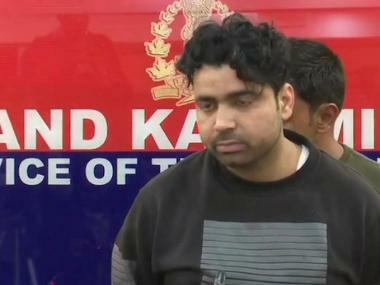 India-Pakistan tensions got heightened following a terror attack on an Indian Army camp at Uri, Jammu and Kashmir, in which 19 soldiers were killed, last month. The Indian Army then carried out surgical strikes on terrorist launch pads across the Line of Control. "I am appalled by what happened in Uri and we need to stand up and protect our country. We have been an extremely peaceful nation for so many centuries. We have never been those who go out and fight. We are from the land of (Mahatma) Gandhi. We are all about non-violence," Priyanka said. "There are so many different people with so many different opinions and belonging to so many different religions. They have had different sort of upbringing. It's (India is) a difficult country to govern, yet we have managed so well," she added. Priyanka stated that we should be more concerned about the safety of Indian soldiers and their families. "We should be concerned about keeping the rest of our sons and the rest of our soldiers safe and that needs to be the focus. We always lose our focus and comment on something else because that's what that makes noise and because people talk about it and media carries it," she said. Following the 18 September terrorist attack, the Maharashtra Navnirman Sena (MNS) issued an ultimatum to Pakistani artistes to leave India and said the party would not let their movies release in India. The Indian Motion Picture Producers Association (IMPPA) passed a resolution banning Pakistanis from working in films being made in India. In retaliation, some Pakistani theatre chain owners banned the screening of Indian films. On Friday, the Cinema Owners and Exhibitors Association of India said that movies featuring Pakistani actors would not be screened in single screen theatres in Maharashtra, Goa and Gujarat. 1Priyanka Chopra: Why are artistes always held responsible for political agendas?